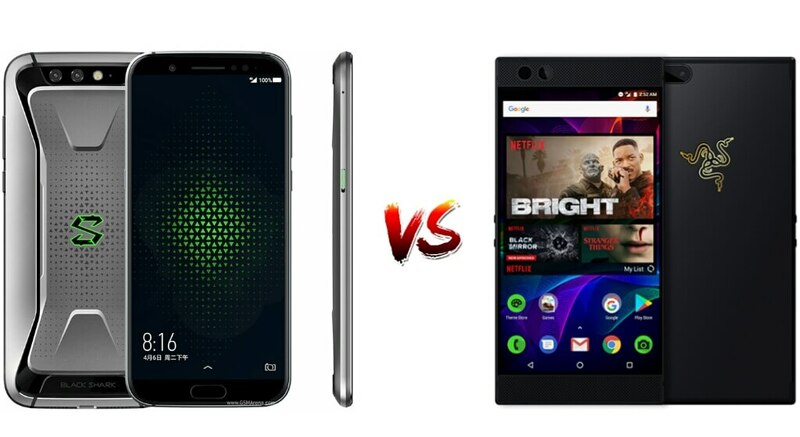 Home Black Shark Xiaomi Black Shark vs. Razer Phone: Who Wins? Have you seen the new gaming smartphone that’s nearly all glorious, 5.99-inch display and packed with the latest and exhilarating specs – all for a low price? No, it’s not the Samsung Galaxy S9, or even the OnePlus 5, neither is it the iPhone X. It’s the Black Shark, a Razer Phone competitor. Before now, we have heard rumors about how Black Shark, a Xiaomi-backed company was developing a device meant for gamers. This is largely due to Xiaomi’s continued investment into the company which has surged them into the spotlight. Thankfully, the long-awaited device has been officially confirmed and we can finally learn about its major specifications and first peripheral. The Xiaomi Black Shark is the second most prominent gaming smartphone in the market today, bringing a smoother, curvier and green chamfered edges along with strong perks and a black and green styling. But can it really compete with the Razer Phone? Here’s how the battle played out, specs by specs. Conspicuously, a gaming smartphone needs to have the best of the best in terms of specs, and these beasts doesn’t come short of that. The Razer Phone and Xiaomi Black Shark are both beauties, with the latter coming in at 9.3mm and weighing 190 grams. Aside from this, the Black Shark spots a slightly larger display with 18:9 aspect ratio and an IPS LCD screen at an assumed 60Hz. The Razer Phone however compensates with its higher resolution, Dolby Atmos and THX certified audio with 120Hz Ultra Motion screen – all for an immersive gaming and VR experience. With support for Dual SIM, the Black Shark has a higher primary and secondary camera with Bluetooth 5.0. The Razer Phone, on the other hand, features NFC that’s useful for transferring contents between NFC-enabled devices. Anything less than the Snapdragon 845 powering the Black Shark would have left it dead on arrival, and its Adreno 630 GPU beats the Razer Phone processor hands-down!. One of Razer Phone main advantage over the Xiaomi Black Shark is its support for external SD card slot alongside a Quick Charge 4+. Coming specifically to the Black Shark, the device features a liquid cooling system that will reportedly lower the CPU temperature by roughly 8°C. There’s also a Shark button which once activated, will enable a special performance mode. Apparently, the Black Shark brings a fingerprint sensor that’s built into the home button and moreover, it runs the Black Shark custom skin, JOY UI instead of MIUI. Just like the Razer Phone, the Black Shark lacks a headphone jack but makes it up with its gamepad controller. This peripheral connects to the Black Shark via Bluetooth and comes with a separate 340mAh battery which can be recharged. On it is a single joystick that can be used for movement on supported Android games such as PUBG and Eisenhorn Xenos. The Black Shark gamepad will be offered for free to the company’s first 50,000 customers. When it comes to pricing, the Black Shark is more affordable at $500 than the Razer Phone which retails at $700. The device (Xiaomi Black Shark) will be released in China on April 20th. 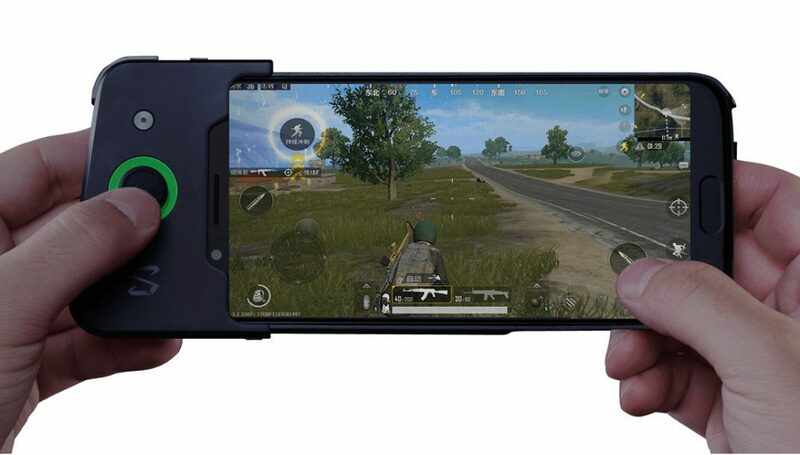 The Xiaomi Black Shark and the Razer Phone are undoubtedly the best solutions for mobile gaming. But truth be told, I really do not see where the Razer Phone tops aside from the 120Hz UltraMotion screen, Dolby Atoms, Expandable storage and Quick Charge 4+. In terms of processor, camera, and most importantly price, the Black Shark wins. If you do not hate the Chinese brand, then you’d be better off with the Black Shark.